Rising Voices: A Wake Forest LGBTQIA Alumni Conference will begin with a teach-in on Friday, October 23rd, with sessions co-facilitated by WFU alumni and current faculty members. A reception will follow the teach-in. WINSTON-SALEM, N.C. - Oct. 13, 2015 - PRLog -- Transgender Author Toni Newman of memoir I Rise will be speaking at the Wake Forest University LGBTQIA conference on Friday, October 23, 4 pm at Farrell Hall. Author Toni Newman ( I Rise —The Transformation) will lead this session on the transgender community, focusing particularly on African-American transgender women within the LGBTQ family. Most African-American/Latina transgender females live below the poverty level and face violence that is double that of any group within the LGBTQ community. How can the LGBTQ family help them rise above their socio-economic status? Please join Toni for an open discussion about being transgender, transitioning within the LGBTQ family, and the support needed from the LGBTQ family. 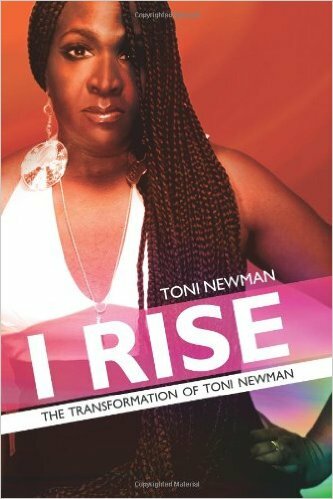 The memoir I Rise-The Transformation of Toni Newman details her 25 year transistion from M2F and her ability to survive and overcome. She graduated from Wake Forest University in 1985 with BA in Sociology, has completed her MBA and now 2nd year law-student in JD program. The late Dr. Maya Angelou inspired Toni while a student at Wake Forest University. Her memoir was nominated for 2 Lambda Literary awards and celebrated by the Maynard Institute of Journalism. She was honored in 2012 as one of Wake Forest University Faces of Courage.